Here Comes Another Bubble video! For those of ya’ll that smiled throughout the hilarious viral video collection “Internet People” comes another sweet video poking fun at the widely successful web2.0 world titled “Here Comes another Bubble“. These videos are fairly true, and gives any non-web geek a quick run through of this past years web2.0 and viral video world. 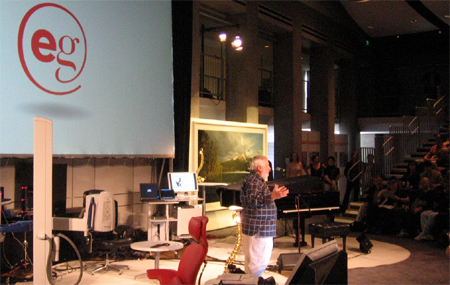 I mentioned a bunch of incredible speakers during my safari over to Pop!Tech2007 …and now a few of those lectures are available for watching at Pop!Casts here. Above is the lecture by Van Jones who is an activist in urban poverty and environmental peril…a must watch!. He’s incredibly talented, smart, funny, and great at speaking that all should learn from! – John Legend: his music and his campaign on global poverty. 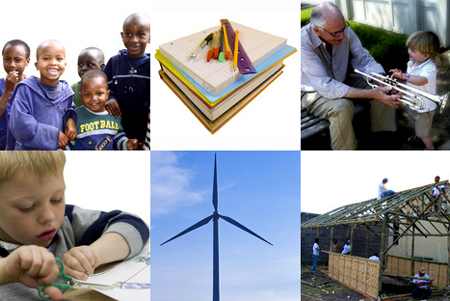 – Jessica Flannery: Kiva.org, a must do Micro Funding site. – Steven Pinker: The thinking behind conversation and language. – Louann Brizendine: The emotional behavior of the brain, men and women. – Caleb Chung: Pleo, Furby, and otehr fun inventions! I’ll post the videos after the jump! This past year I’ve been incredibly fascinated and inspired by Adam Kalkin’s disruptive, poetic, rustic, and rather playful spacial creations redefining what things could and perhaps should be. His projects show exploration, curiosity, and an incredible sense to imagine like a kid again while being stuck in an adults body which I love. – Push Button House, NY Times or TheCoolHunter. Ben Underwood: Seeing Through Sound! Ben Underwood had his eyes removed at the age of 3 due to cancer. Overtime, he’s taught himself to see objects in space by using “echo location” to navigate the world around him. Seeing instances likes Ben makes me want to dive back into my fascination with synesthesia; the ability to use one sense though a secondary sense… or as I called it back in college, Cross Sensing. All 5 videos of Ben after the jump, including the phantom Limb lecture. Thought of the week: Sometimes ya gotsta take 2 steps back to go one step forward! – Video: Train runs through Bangkok Market Place. – Cool adjustable emotional stamp. – Video: Chimpanzees smarter at memory games than humans? – Odd: Born with feet backwards! – Article: Who clicks on Ads! – Tech: NEC develops first translation phone! – Web: Online Word Processor, BuzzWord! 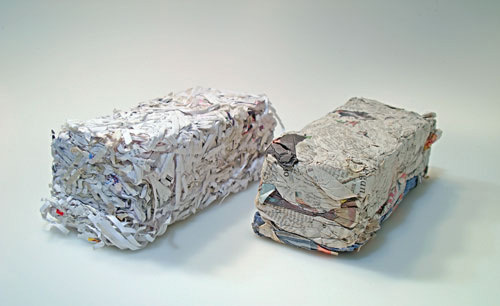 update: A Newspaper Brick Maker! Buy Here! So verrrrry true! Reminds me a bit about the “Cisco cubicle free design” space, or being back in school! “If there’s wisdom in crowds – why don’t we let the masses rule? What would happen if a company had no recognizable leader – or management structure for that matter? Yikes – chaos most probably. Imaging a company as big as…say… Vodacom where everyone was paid exactly the same and had no leadership structures, everybody just followed everyone else and as a group decisions where made for the good of the crowd. That’s what ants, birds and bees do and they run remarkably fine tuned organizational machines. So why is it so far fetched to imagine that happening in a commercial human organization? An interesting, growing trend in the world of business is what’s known as crowd-sourcing or crowd clout and the theory is that ‘the collective wisdom of a crowd is infinitely more powerful than the efforts of one’. But how far are prepared to put this theory to the test. So far every experiment has been web-based, things like Myfootballclub and Digg string immediately to mind, but what would happen if a large, real world corporate had to try this out? Our hunch is that bees, ants and birds don’t have giant egos to feed – so they’re naturally more inclined to let go and make it work. Maybe working together in a team goes against our natural human instinct of individual survival and is fundamentally flawed. 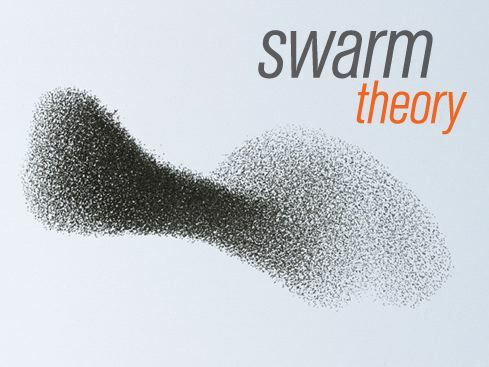 Check this amazing clip of the coordination of a swarm of birds in-flight. I’ve mentioned previously one of my favorite quotes during my journey over to TED2007 and it’s finally on TEDtalks here. World famous designer Philippe Starck states â€œI believe in general that my job is absolutely useless; but now, after Carolyn(Porco) and these guys, I feel like shitâ€. Watch the video… it’s somewhat funny to watch him, and charming. I’m not sure if what he says is anything new to the design community, but hey, it’s always great to hear it from icons such as himself. Lots of his books to buy here. Being a bit bummed I couldn’t make it over to this years wonderful EG conference gathering (the Entertainment Gathering) which started last night, I’m glad to see that their (matt) live blogging it. It’s very textual and less visual but hey, it gives the scoop on the awesome line up of speakers and hopefully they’ll release some kind of video archive if they jump on the bandwagon of conferences alike. I think Matt’s going to add pictures and videos since he’s live blogging like a mad man with spell checks then fixing it all up in the later hours enhancing his posts with images etc. If your at EG, send me some updates, otherwise, I’ll be reading up on the live blog and searching for any incredible stories for the next 2 nights! 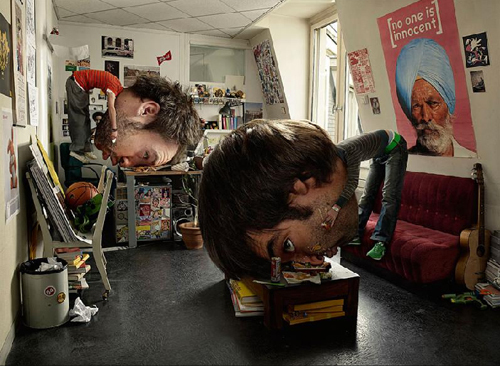 I’ve been clicking around Christophe Huet’s mesmerizing and inspirational webpages full of photoshop creations and ads, including a great “Making of” section that goes through the many layers and process of each creation which I love! It’s one thing to see the final work of a designer but it’s another story to see the thinking and design process into creating each magical piece. I’m really diggin the big head creations and will make my own for web apps soon. Check out his webpage, turn up the sound for the soothing piano music and click through his “making of” section! The design process of his “Big Head” piece above after the jump! Tis the season to be buying and buying and buying for family and friends surrounding us all. 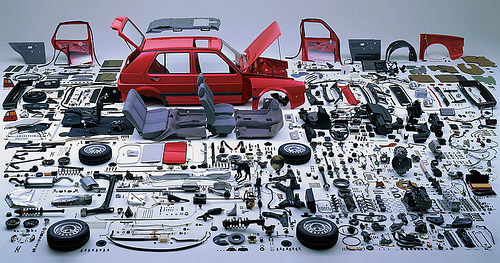 Over time we consume hundreds if not thousands of gifts we cherish, use, and dispose of eventually. Over this same time our obsession with consuming becomes apparent and finding something special is hard to come by if not tiring. Have you ever wondered if your gift ever got used? These are natural questions; â€œDid I give something useful, did they watch those DVDâ€™s, did they eat those cookies, did they wear that sweater, did they use that tool set, is my gift buried in their closet or hidden in their garage somewhere? Iâ€™ll admit I have several gifts buried in no mans land, so to level up a gift to be consumed, buy a gift â€œto give!â€ A gift to make change, to give hope, create jobs, save lives, to change behavior, and a story to follow. â€œIn the next few weeks, weâ€™ll all be spending $100 BILLION on gifts. Unfortunately, some of that money will be wasted on things like unwanted fruit cakes and slippers. . .
Now, thereâ€™s an exciting alternative! Please check out our new look. At ChangingThePresent.org you can give donation gifts, which help make the world a better place. Itâ€™s amazing what your gifts can accomplish: preserve an acre of the wilderness; fund an hour of life-saving cancer research; or even provide a child with her first book, so she can learn how to read. With over 1,000 gifts, from $2 to $5,000, from hundreds of leading nonprofits, itâ€™s easy to find an inspiring gift for everyone on your list. You can even send a personalized greeting card, with a picture and description of your gift, right from the site. Thought of the week: If pennies did not exist, would we be more productive hence actually save more money? 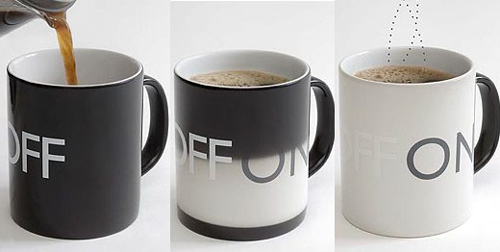 – On/Off coffee Mug– color changing Mug from off to On. – ElfYourSelf: The classic ElfYourSelf web card I sent out to friends last year! – The naked teddy bear suit. – Severn Suzuki giving an incredible speech on the environment at age 12 in 1992! – 10 most expensive cities to live in. Tokyo drops out of top 10!